I’ve loved vintage things since I was a child. I was raised mostly by my grandparents and grew up around a lot of really cool stuff. 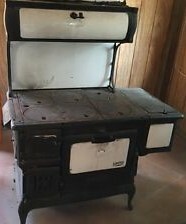 Old stoves that burned coal (that was sadly replaced with an electric stove), hardwood floors, wide wood moldings and wooden staircases, just to name a few. Decades later I still love vintage things which is why I love the thrill of the vintage hunt. These days I try to sell more than I keep but lately that doesn’t seem to be the case as it is hard to part with something that causes such great memories. If you want to learn more about my vintage side here is a link to an interview by my friend and fellow blogger over at You Can Always Start Now. 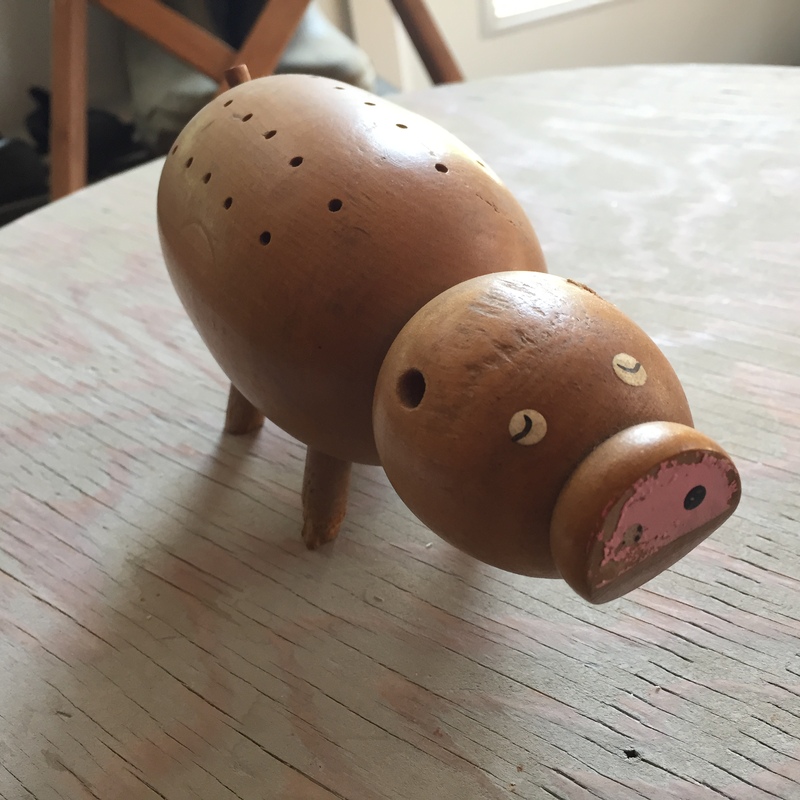 I spend a lot of time each month going to thrift stores, auctions and yard sales looking for fabulous vintage items and any other quirky things to sell. In the next several paragraphs I am going to ramble on and offer some useful tips on how you too can find some awesome vintage stuff. First of all set a budget. Leave your debit and credit cards at home. By setting a budget it lowers the risk of buying stuff you won’t use or really don’t need. This is true for auctions, I check out the sale listing first and set myself a budget . Trust me on this, I learned the hard way. Make a list of items you are looking for. If you go shopping without an idea of what you’re looking for you could end up looking around forever with no goal in mind. Have at least one or two items (preferably on a list) to help maintain your focus. I have a running list of items, mostly because I like to repurpose some of my items before selling. Which brings me to the next tip, know what can be repurposed. Often, with a quick sanding, coat of paint and some new hardware an old piece of furniture can be transformed into something fresh and funky. The same goes for old mirrors, frames, bottles, cutting boards or light fixtures. The possibilities are endless. Check out these repurposed items, there will be links at the end of the post on “how to”. Go early (or go really late)– going early to yard sales and flea markets (and auctions) makes sense as usually the really good stuff sells first. Don’t be afraid to haggle, most sellers expect it. What’s the worst that can happen? – the seller will say no. You don’t haggle at auctions though. If you go late especially to yard sales or flea markets, most sellers start slashing their prices toward the end of the day as they don’t want to pack the stuff back up and take it home. Shop off-season, don’t wait until Halloween to look for Halloween decorations, same goes for Christmas as most sellers will up the price because they know people are looking for these things. Don’t rule out purchases just because you won’t use them for a few months. I scored a huge Christmas wreath for my front door at a yard sale last May for $5.00 – saaaaweeet!! If you plan on purchasing anything electrical or battery operated ask to the seller if you can try it first. Sometimes things can get broken before they actually make in onto the shelves. Last but certainly not least, start to collect something, it makes the vintage hunting more fun and gives you a purpose. Vintage hunting – It’s A Wandaful Thing!! 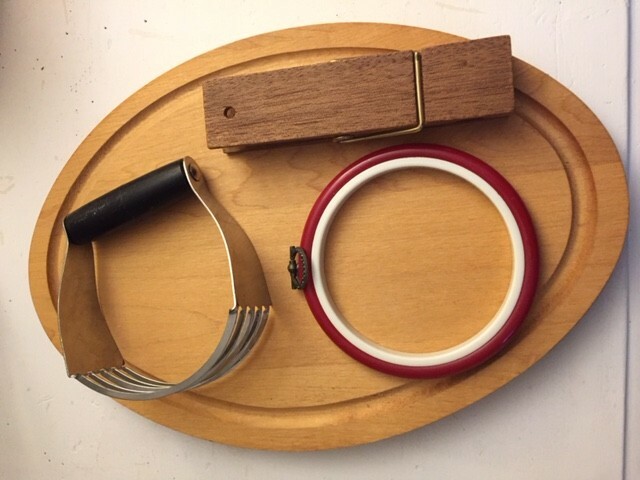 If you have other tips for vintage hunting or find a really good score, I’d love to hear from you. Please feel free to leave a comment! Thanks for stopping by! This entry was posted in DIY and tagged antique, auction, Blog, cheap, Crafts, Decorate, DIY, easy, flea market, friend, guest blogger, Guest Posts, hunting, ideas, living, repurpose, reuse, vintage, yard sale. Bookmark the permalink.